While there’s certainly something to be said for great American team sports like baseball and basketball, one-on-one sports like boxing are in a class by themselves. Boxing is especially noteworthy because it’s one-on-one. Since there’s no team working together as a collective, winning requires strategy, forethought, and skill on the part of the individual fighter. Boxing is also a complex sport with a rich history, so there’s a lot to learn about what makes it everything that it is. Reading plenty of books on boxing and its history can help die-hard boxing fans build on their knowledge of their favorite sport like never before. When you’re truly into something, it only makes sense that you’d want to study it and absorb as much information about whatever it is as possible. No study of a given topic is complete without an exploration of its history. By building a thorough boxing history book collection, you’re taking advantage of a golden opportunity to appreciate the sport on a level casual fans won’t. You’ll learn about how the sport came to be what it is today. You’ll get to know the lives of key fighters, relive legendary matches, and analyze key moments that made history over the years. When exploring books on boxing for the purpose of developing an in-depth understanding of the sport, it’s important not to overlook regional interest books. 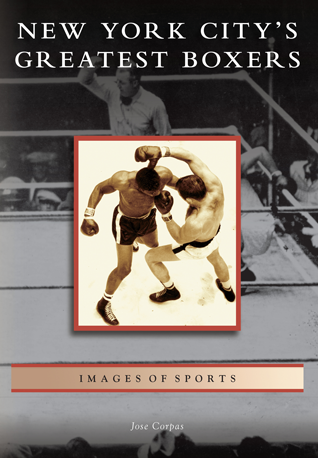 Arcadia Publishing’s catalog of local interest boxing history books is one of the largest and most comprehensive out there. Explore key communities and movements in boxing history. Read all about the most important fighters, venues, matches, and techniques via a multitude of unique voices and authors. It’s an experience not to be missed if you’re a boxing fan.